Otago Centre has the honour of being the founding centre of the Piping and Dancing Association of New Zealand Inc. For it was in Dunedin, on the 3rd of September 1908, that the first meeting of an independent Pipers and Dancers Association was held and the first rules and regulations for the governance of Highland Dancing and Solo Piping were adopted. Fast forward to the present and Otago Centre continues to organise competitions and promote Highland Dancing and Solo Piping throughout the province. Otago Centre runs several small competitions in both Solo Piping and Highland Dancing throughout the year. There is also a network of associated corporate bodies running competitions in and around Dunedin that are supported by Otago Centre. This includes a thriving North Otago branch who hold competitions regularly throughout the year in Oamaru. Of significance is the annual Otago Centre Championships for both Highland Dancing and Solo Piping. Traditionally held on Queen's Birthday Weekend, these competitions attract competitors from around the country and are one of the only indoor competitions to include Solo Piping and Highland Dancing championships in the same complex. 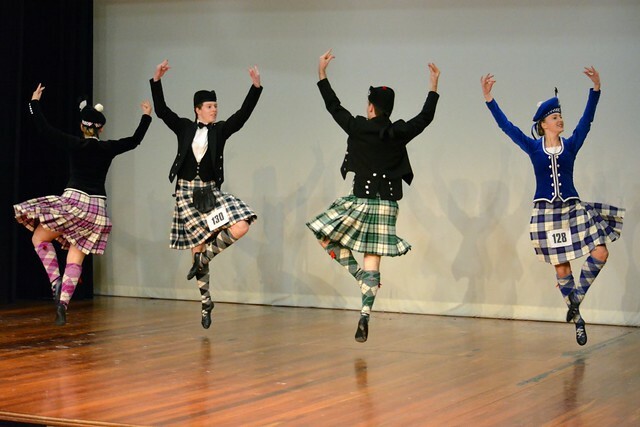 However in 2019 Otago Centre is trialing two new, separate venues; Kings and Queens Performing Arts Centre (Highland Dancing) and John McGlashan College Edgar Centre (Solo Piping). Committee: M Ferguson, R Goodfellow, J Marshall, L Mitchell, J McBride, J Seque, A Simpson, M Watson, J Wilson, and representatives from the Caledonian Society of Otago and Ghillie Callum Club. Photo: Queen's Birthday Championships 2015, Highland Reel.